Pregabalin and Gabapentin are selective inhibitors of voltage- gated calcium channels, which act to inhibit these pumps at specific alpha2-delta site and inhibit calcium mediated release of neurotransmitters from synaptic vesicles. The neurotransmitters that are inhibited are adrenaline and nor-adrenaline, which increases the sensitivity of neuropathic pain. Neuropathic pain is caused due to damage, necrosis or compression that affects the nerves in our body. Release of neurotransmitters from adjacent nerves decreases the threshold of pain and causes allodynia ((perceiving pain from non painful stimuli) and hyperalgesia (excess pain from a pain stimuli). It has been suggested that both these drugs mediate interactions through descending noradrenergic and serotonergic pathways originating from the brain stem which modulates pain transmission in spinal cord. Both these drugs are GABA agonists, potentiating the action of GABA, which is the inhibitory neurotransmitter. Although they have the same mechanism of action they differ widely in their pharmacokinetic and pharmacodynamic features which influence their efficacy and safety. Efficacy Extrapolating the dose to 450mg ( average dose of gabapentin) , reduction of neuropathic pain greater than Gabapentin. Pain reduction is lesser with equivalent dose of pregabalin. Sagarika Mukarjee. "Difference between Lyrica (Pregabalin) and Neurontin (Gabapentin)." DifferenceBetween.net. 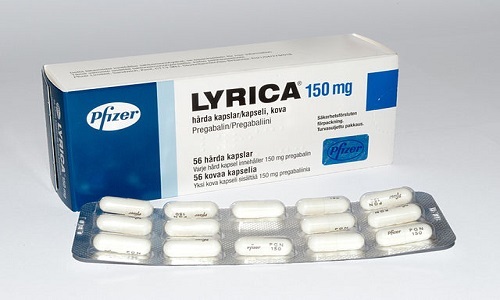 September 15, 2015 < http://www.differencebetween.net/science/health/difference-between-lyrica-pregabalin-and-neurontin-gabapentin/ >.